Before the last Eagles home game on October 28, the Canton Educational Foundation kicked off with a balloon launch. We threw t-shirts, frisbees and mini-footballs to the crowd for a night of fun. We were so excited to share our vision with so many kind members of our community and school system. The Canton Educational Foundation hosted its first annual Celebration of Stars Banquet honoring the top ten graduating seniors and their honored guests. The top ten graduating seniors were honored not only for their academic achievement, but also for their leadership skills. The graduating seniors were asked to select a Canton ISD teacher or staff member who has inspired them the most and has had the greatest influence on their academic accomplishments. The banquet brings much needed attention to the hard work and dedication of the students and educators at Canton ISD. The banquet was held at Four Winds Restaurant on May 3, 2012. The honored students were: Matt Green, Sadie Randall, Kelli Gill, Savannah Faglie, Lexi Callan, Erika Erickson, Jonah Hubbard, Kelsey Koym, Meagan Lewis, and Mariano Zaragoza. The honored teachers were: Susie Dorman, Paige Peace James, Virginia Sneed, Kathryn Pratt, Brittani Engerbretson, Rob Toups, Sharon Fain, Stacey Burns & Theresa Oliver. The Canton Educational Foundation would also like to thank the following Celebration of Stars sponsors: Gary & Marcelyn Norrell, United States Steel Tubular Products, Womens League of Canton, Huddle Steel Buildings, Mr. Ds, Dr. & Mrs. Glenn Stern, Mark & Becky Thompson and Ryan & Jonell Randall. A huge thaks to everyone who came out and supported the Canton Educational Foundation in our first-ever Swing Fore Education Golf Tournament. A special thanks to the Canton Rotary Club whose idea it was to join forces on the project! 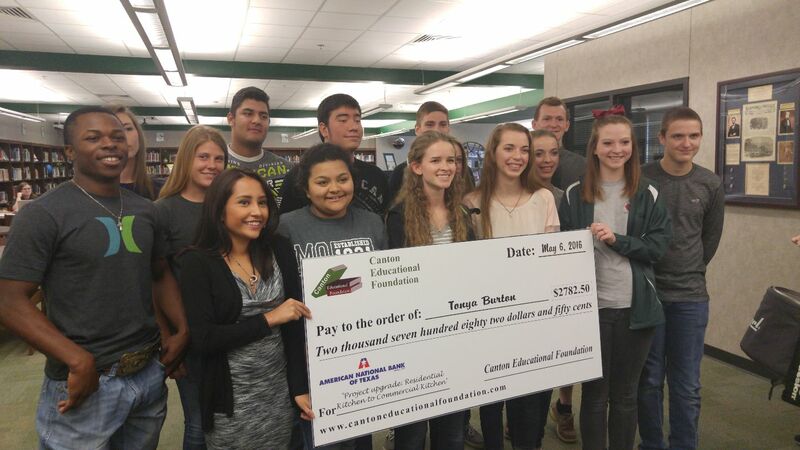 As a result of this joint-venture, nearly $10,000 was raised to go into Canton ISD classrooms. Held at Texas Farm Bureau in Canton, this was the Foundation's first fundraiser of the year. Thanks to all the generous auction donors and bidders, we raised thousands of dollars to put back into CISD classrooms! A special thanks to Doug Stuart for taking all these great pictures! The Canton Educational Foundation was especially pleased to join the Canton Rotary Club to put on this event. For even more pictures, click here. The Canton Educational Foundation held its 3rd Annual Gala on January 18, 6:00pm at Canton High School. It was an evening of good food, great live entertainment and a live and silent auction. The purpose of the Gala was to introduce people to the Foundation and it's cause. The Wesley Pruitt Band brought down the house after the auctions. Thanks to everyone who sponsored the event and also to those who came to participate in the auctions. 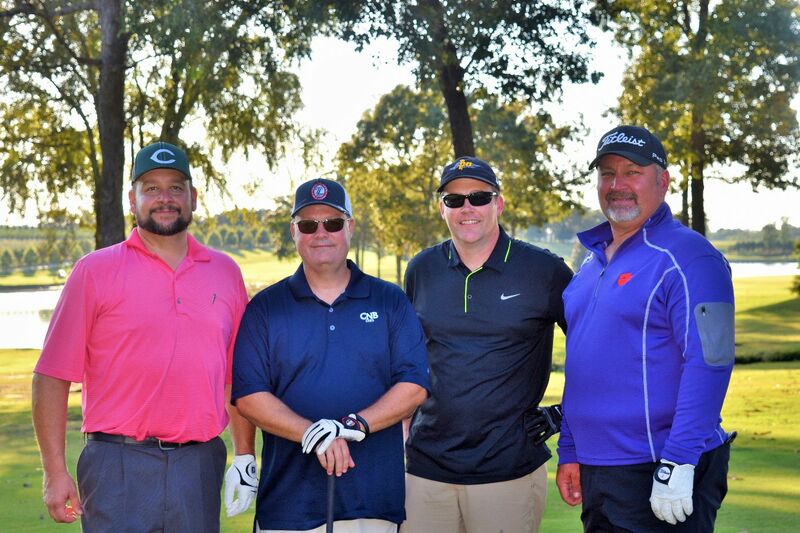 In all, we raised over $18,000 for Canton ISD classrooms.